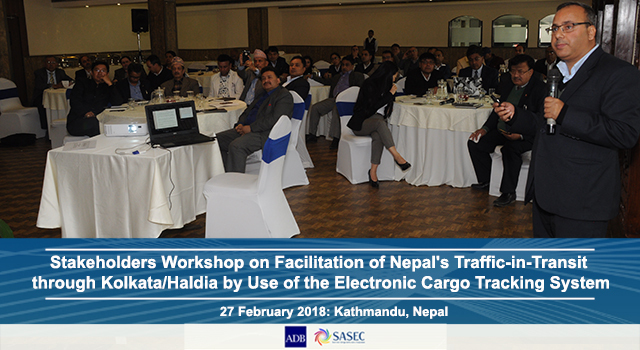 A workshop was held on 27 February 2018 in Kathmandu, Nepal, to discuss the use of an electronic cargo tracking system (ECTS) to facilitate traffic-in-transit of Nepal-bound freight from Kolkata/Haldia port. 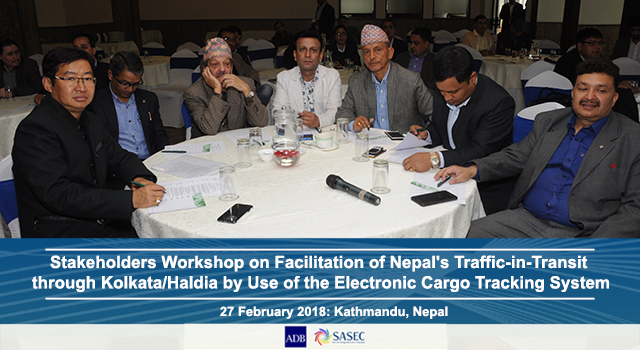 Chaired by Mr. Rabi Shankar Sainju, Joint Secretary, Ministry of Commerce, Nepal, the workshop delivered information on preparedness for the ECTS pilot run, and received feedback from stakeholders for the planned pilot. Introduced the web application to be utilized for tracking transit cargo and processing customs traveler declarations. 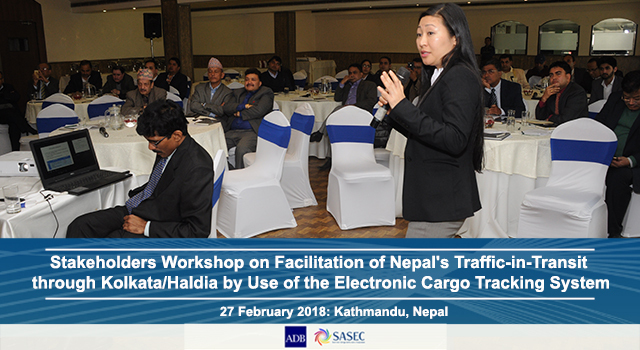 Representatives from trade and industry organizations and government agencies attended the workshop. 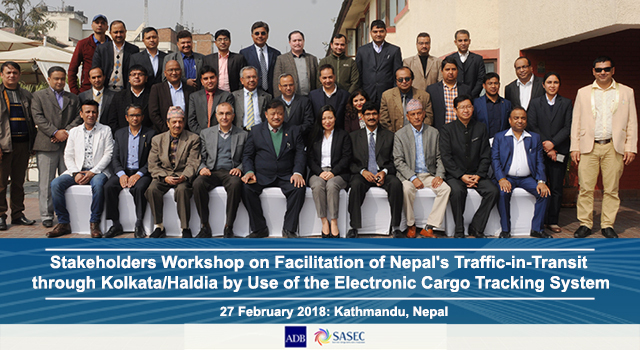 Customs officials from Birgunj, Dryport, Biratnagar and Bhairahawa Customs offices were also present. In June 2017, India and Nepal signed an MOI to pilot the tracking system to ease transit of cargo by road and rail from Kolkata to four major Customs points of Nepal: Kolkata-Birgunj via Raxaul; Kolkata-Sirsiya inland container depot via Raxaul; Kolkata-Biratnagar via Jogbani; and Kolkata-Bhairahawa via Sonauli corridors. Transport operators that will use the ECTS will enjoy simpler procedures and streamlined documentation. The ECTS is an important initiative under the South Asia Subregional Economic Cooperation (SASEC) program, which groups Bangladesh, Bhutan, India, Maldives, Myanmar, Nepal, and Sri Lanka. The Asian Development Bank (ADB), which is the Secretariat of SASEC, is supporting the piloting of the ECTS.